2014 was a year of explosive growth at Girls Who Code. Today, we are proud to say we're not just aiming to close the gender gap in technology — we're actually doing it. Thanks to the support of our partners, the dedication of our teachers, staff, and volunteers, and most importantly, the passion of the girls we serve, we have become the leading organization in the country providing computer science education to young women and producing female technologists. We've grown a lot, and we've also learned a lot. By expanding our Girls Who Code Clubs program to reach more than 2,000 girls in 24 states across the country, we learned that it's possible — and essential — to deliver high quality computer science education at scale. Through our Summer Immersion Program, we found that when you challenge a girl to build a functional product in less than 2 weeks, she just might build a mobile game that combats sexism and breaks down gender stereotypes. We have discovered that Fortune 500 companies from every sector of the economy — from entertainment to real estate to ad tech — can work together to solve a problem that affects us all. We learned that we have to keep growing. We are reminded every day that creating gender parity in technology is critical to the future of innovation. Your support in 2014 brought us one giant step closer, and it is my pledge that we will not stop here. Girls Who Code programs work to inspire, educate, and equip girls with the computing skills to pursue 21st century opportunities. but today that number is just 18%. 20% of AP Computer Science test-takers are female, and 0.4% of high school girls express interest in majoring in computer science. What's going on? Girls Who Code believes to close the gender gap in technology, we have to inspire girls to pursue computer science by exposing them to real life and on screen role models. We teamed up with CoverGirl on an ad featuring our students to show that #GirlsCan be creators of technology. It aired on network television and received more than two million YouTube views. 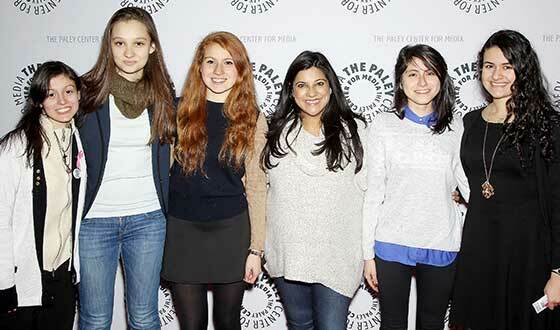 Girls Who Code, Verizon, and the Paley Center for Media convened girls, celebrities, television writers, and historians for a panel event in December 2014 called Cracking the Code: Media Portrayals of Women in Science, Technology, Engineering, and Math. We joined Mindy Kaling, Chelsea Clinton, and community partners from around New York City for the July 2014 launch of Google's Made With Code, where girls got a chance to try 3D printing, dance to Icona Pop, and meet women in technology. Isn't it time we told her she was pretty brilliant too? 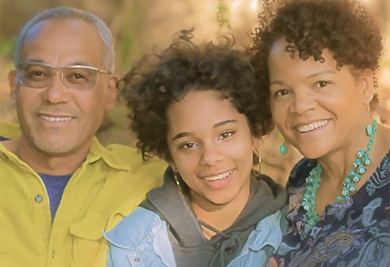 Reshma provided the voiceover on this powerful Verizon PSA in partnership with MAKERS, encouraging parents to send more positive messages to girls about STEM. Girls Who Code's Summer Immersion Program is a seven-week intensive computer science course that embeds classrooms in technology companies and universities. Girls get hands-on experience in computing concepts, from robotics to mobile app development, while gaining exposure to the tech industry and receiving valuable mentorship from women working in computer science. Since beginning in 2012, Girls Who Code has served 3331 girls in 24 states. “Girls Who Code was the ideal teaching experience. 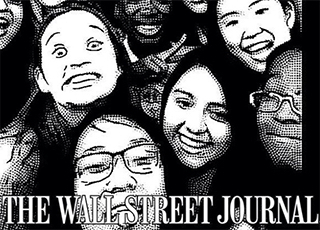 In 2014, Girls Who Code held events with tech industry leaders. Jack Dorsey hosted an inspiring leadership talk at Square for 40 lucky participants in our Twitter and Square Summer Immersion Programs. Sheryl Sandberg joined Bay Area Girls Who Code students for a Town Hall event at Facebook headquarters. Chelsea Clinton held a Q&A event with Girls Who Code program participants at IAC headquarters in New York. Our girls built a strong skill set — from programming languages to pitching products to engineers. 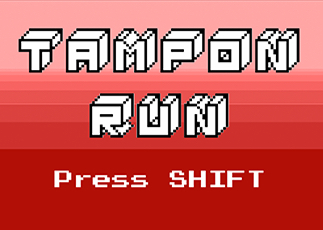 They re-created games they love like 2048 and created brand new ones like Tampon Run. 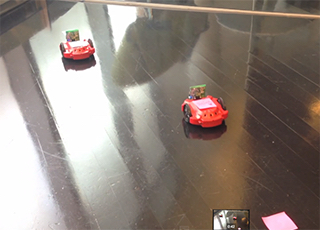 They programmed robots in Python to dance to Taylor Swift. They heard from guest speakers working on the front lines of tech. 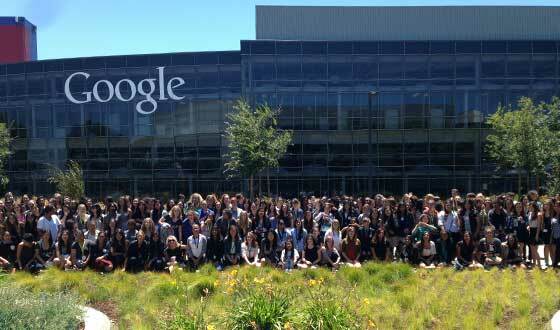 They took field trips to inspirational places like Google and NewsCorp. 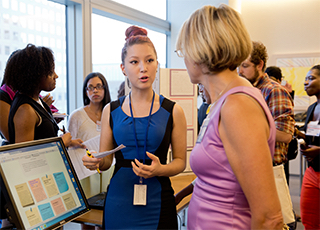 They demoed their final projects at 19 graduation ceremonies. We recently asked the Summer Immersion Program alumnae about their experience and their answers were resounding. 100% of alumnae are majoring or plan to major in computer science or mechanical or electrical engineering. 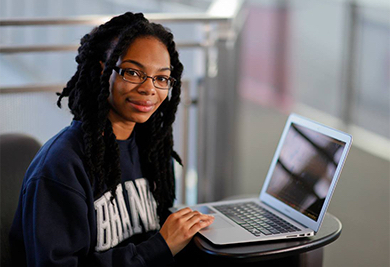 All alumnae pursuing computer science in college named Girls Who Code as a major factor in their decision to do so. 90% of alumnae computer science majors had a different or undecided educational path before Girls Who Code. 85% of alumnae would recommend our Summer Immersion Program to another girl. “The Girls Who Code Summer Immersion Program provided our daughter with an unimaginable opportunity. Thank you from the bottom of our hearts. The Girls Who Code experience has really helped our daughter Eva feel better about herself as a young woman and more hopeful about her future. The Girls Who Code Clubs Program is a uniquely scalable program bringing high-quality computer science education to girls in grades 6-12 nationwide. Clubs meet after school and on weekends throughout the year in classrooms, libraries, community centers, and local universities. Employing a flexible and proven curriculum, we equip girls with concrete technical skills that provide the foundation for a future in technology. “The Girls Who Code Clubs Program has given me the chance to teach passionate, driven girls who share a love for applying coding to interdisciplinary fields. Where are Girls Who Code Clubs? 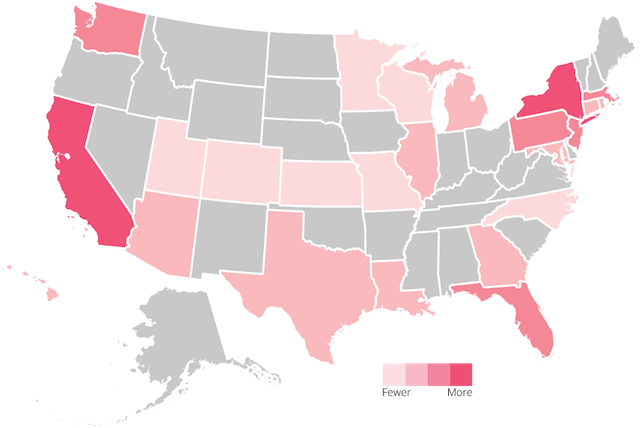 In 2014, Girls Who Code Clubs expanded to 24 states. The Girls Who Code Clubs Program enabled thousands of girls nationwide to learn computer science. We teamed up with Samsung to challenge girls in our Clubs nationwide to build apps to improve their schools and communities. We had submissions pour in from Clubs from Minnesota to Georgia, and even made a surprise trip to Colorado to present the winning team with brand-new Samsung laptops. In first place was Musiklearn, an app to help disabled students learn through music, created by two middle-school girls. The submissions we received showed the power of teaching girls to code. Clubs visited the headquarters of top tech companies and hosted industry leaders to speak in their classrooms. Companies like Twitter and MasterCard hosted Corporate Clubs in their offices each week. Employees volunteered to teach Clubs using the Girls Who Code curriculum. Our project-based curriculum is multi-level, designed to teach middle and high school girls with varying experience year after year. Clubs create access for all girls: From a Native American reservation in Minnesota to a homeless shelter in Massachusetts, Girls Who Code Clubs are empowering girls nationwide. Our programs empower girls to pursue majors and careers in computer science — leading them to study computer science at top universities, secure paid technical internships, and even launch fully functional products. Joelle grew up in Queens, New York, with a strong interest in both the arts and STEM subjects. She came to Girls Who Code without any experience in coding, but now credits the Summer Immersion Program for her success in the field. 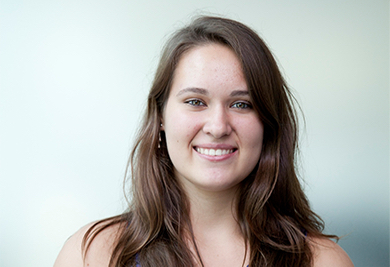 Joelle is currently a first-year computer science major and theater minor at Brandeis, where she is a prestigious Science Posse Scholar. Helen came to Girls Who Code with no background in computer science. Passionate about solving world hunger, she had always intended to study international development. 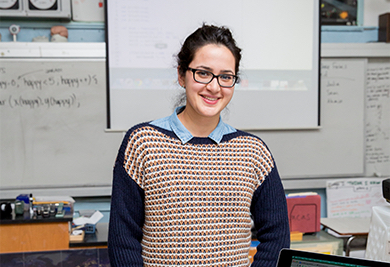 Girls Who Code showed her that however you want to change the world, technology can help. After founding a Girls Who Code Club at her high school in Staten Island, Helen went on to study computer science at Brown University. Girls Who Code alumnae are prepared for paid technical internships from the moment they graduate. Alumnae have gone on to intern at financial institutions, VCs, startups, and even at our partner companies! 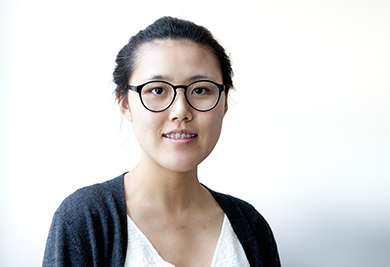 Keyue graduated from the Summer Immersion Program in 2013 and went on to co-found the Brooklyn Tech Girls Who Code Club with a group of friends. Last summer she nabbed an internship at Social Good Guides, a NYC-based start-up, and this summer she's on her way to Microsoft in Redmond, Washington, where she'll work with the data experiences team. “Girls Who Code gave me the experience I always wanted but never got elsewhere. Through connections I made during the eBay Summer Immersion Program class of 2013 of Girls Who Code I landed an intership at a16z, a venture tech company. I get experience tracking projects at the firm and help with financial metrics and market mapping. I love working here, the partners are all so brilliant and have such incredible experience to share. Girls Who Code programs don't just teach computer science, they also empower girls by building the abilities and confidence they need to become entrepreneurs. Andrea Gonzalez and Sophie Houser met at Girls Who Code's 2014 Summer Immersion Program at IAC, where they teamed up to build a feminist video game: Tampon Run. 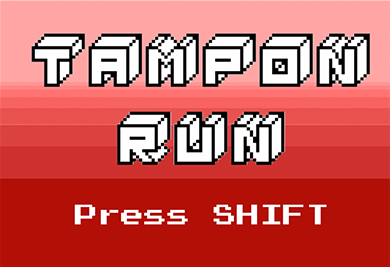 The now-viral game replaces automatic weapons with tampons, aiming to raise awareness of taboos around menstruation and challenge the prevalence of guns in our society. After the program, they worked with Pivotal Labs to launch a mobile version of the game that can be downloaded in the App Store. They've been featured everywhere from Fast Company to Cosmopolitan, and Teen Vogue celebrated them on their list of 10 Teens Who Changed the World This Year! Last summer, five Girls Who Code alumnae secured paid technical internships at AOL's teen website Cambio. In just six weeks, they put what they learned at Girls Who Code into practice, completely reimagining the site as #BuiltByGirls, building an inspirational meme generator, and creating Cambio's all new Col[lab], inviting girls everywhere to submit content. Solomon is the COO/CFO of Girls Who Code. 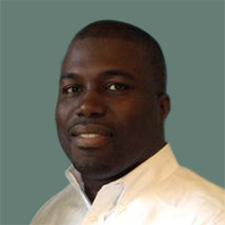 An entrepreneur with a passion for democratizing access to high quality education, he is also the Founder of Prepfoleo, and recently served in senior leadership roles at Management Leadership for Tomorrow, Examville.com and the City of Hoboken, New Jersey. 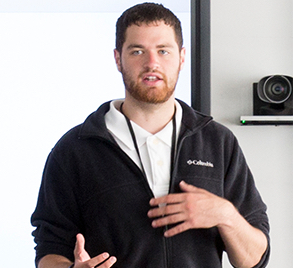 He holds a BSE and an MSE in mechanical engineering with a focus on robotics from the University of Pennsylvania. 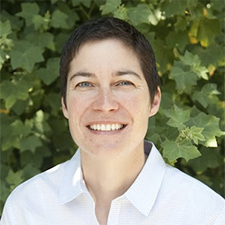 Susan joins Girls Who Code as Director of Partnerships and Development from years of working in the nonprofit sector at Craigslist Foundation and prior to that as a product manager in Silicon Valley. 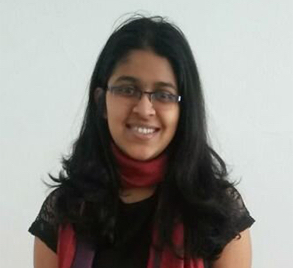 She brings a passion for empowering girls in technology and is known at Girls Who Code for her warmth and enthusiasm. 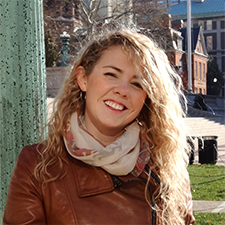 Emily has come aboard as Curriculum Director at Girls Who Code, ensuring that our programs are unrivaled in delivering quality CS education. 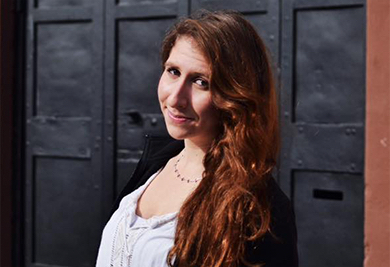 She worked as a cyber security engineer for the MITRE Corporation, and holds an MS in computer science from Columbia University and a BS in mathematics with a minor in computer science from Tufts University. See below for a full list of Girls Who Code staff. Girls Who Code is proud to have earned support in 2014 from 35 corporations, 11 foundations, and individuals around the world. These partners provide integral funding to our Summer Immersion Program, Girls Who Code Clubs Program, and our organization as a whole, as well as through creative partnerships like Samsung’s Mobile App Challenge. 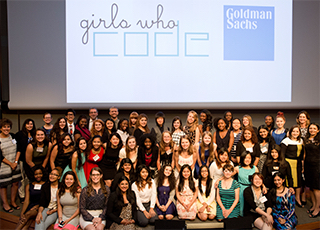 The 2014 Girls Who Code Gala honored our founding partner, AT&T. The evening brought together partners, friends, and alumnae of Girls Who Code in New York City to celebrate our work and honor AT&T. is only possible thanks to our partners. Girls Who Code raised $7,711,006 in 2014. Having raised $1,164,502 in 2013, this represents major growth. We spent only two cents to raise each dollar. You've heard us say it before. Girls Who Code is more than a program; it's a movement. We've spent 2014 building the team, infrastructure, and partnerships needed to make 2015 a historic year not just for our organization, but for the economy at large. By the end of 2015, Girls Who Code will have empowered 10,000 girls in all 50 states with our proven computer science education programming, building a pipeline of talent that will finally bring gender parity to the technology sector.